Node.js is now the most dominant and in-demand language for application development, particularly on the enterprise scale. 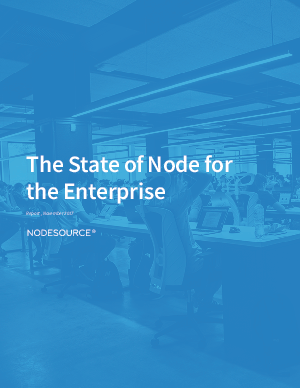 In this annual report for executives overseeing large enterprise builds, we’ll trace the evolution and adoption of Node.js in the enterprise, as well as the directions in which the ecosystem will grow. There are often pitfalls and common mistakes made by enterprise teams when adopting the framework, so we’ll discuss how to avoid them.